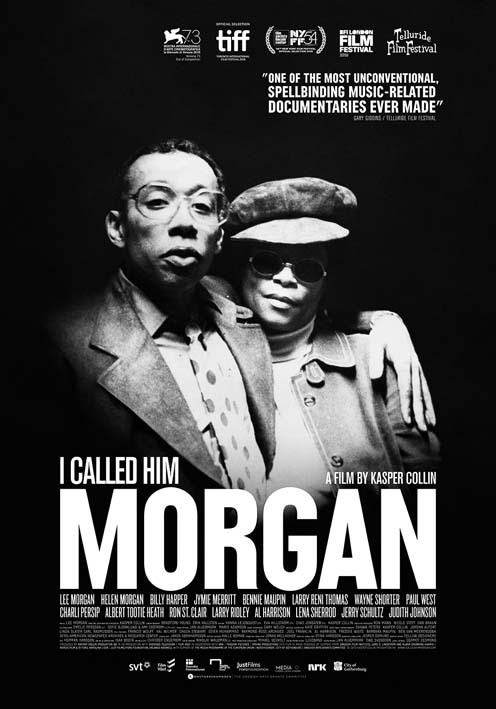 This was a thoughtful and well done film that describes the relationship between the great jazz trumpeter Lee Morgan and his common law wife Helen and the events that led up to the fatal shooting that took place at Slug's Saloon in New York City in February 1972. There were giants of the jazz trumpet walking the earth when Lee Morgan's career began with the Dizzy Gillespie Big Band in the late 1950's but it soon became clear that Morgan was a special talent that had a very bright future for himself in music. After leaving the Gillespie ensemble, he joined Art Blakey's Jazz Messengers during one of their most exciting and productive periods. He was also cutting solo records as a leader for Blue Note records at this time which were prime examples of the hard-bop sound that had developed during that time period. It was at this time that Morgan fell under the spell of heroin and he fell hard. Some sources say that Blakey, the functioning addict, may have introduced him to the drug. Regardless, Morgan hit rock bottom, neither playing or recording or even at times having no shoes to wear. It was at this period, in the early 1960's that Helen enters the picture in the beginning as an almost maternal figure as she was several years older than Morgan. She helped him get into a treatment program and come out clean, and worked tirelessly as a de-facto manager, helping Morgan rebuild his image as a responsible and sober musician and bandleader. The mid to late 1960's were the salad years of their relationship, Morgan had found massive success with his recording "The Sidewinder" and a series of popular albums followed. They were able to tour the west coast with Helen on some of these trips as a straw boss, and for all appearances things were going well. That started to change when Morgan began to take an interest in a young woman he had met in Atlantic City, and they began to spend more and more time together, stoking Helen's ire. Ironically, this woman states poignantly that their relationship was rarely intimate since Morgan's period of intense narcotics usage led to ongoing health and stamina issues. Everything came to a head the night of a raging blizzard in New York City. Helen had originally planned to decamp to Chicago, but decided to come to Slugs to see Morgan play. Morgan was accompanied by his young partner, and the friction between the three was becoming toxic. At one point Helen was thrown out of the club without her coat, and the pistol she kept for protection fell out of her purse and clattered onto the sidewalk. She picked it up, re-entered the club tapped him on the shoulder and and shot him in the abdomen upon turning around. Police responded quickly and placed Helen in custody, but it took the ambulance over an hour to navigate the snow clogged streets to the club and Lee Morgan was pronounced dead on arrival at the hospital, dead at just 33 years of age. Helen was convicted of second degree manslaughter, and was released after spending a comparatively short time in custody. She returned to her North Carolina roots, becoming very active in the church, and was taking classes to further her education when she met Larry Reni Thomas who was a jazz DJ in addition to being a history professor. Several years later and shortly before her death in 1996, Helen sat down with Thomas for a lengthy interview. This squeaky old cassette tape opens Helen's backstory from being a young unwed mother in North Carolina who fled for New York City, and became known as a character around town, someone who always had an open door and a pot of food on the stove. This was the time period where she met Morgan, he was at his lowest point and she helped him to get back on his feet and spur him on to some of his finest performances. But there was bitterness building, and Helen did not wish to be a kept woman while Morgan saw other women and circumstances and missed opportunities led to that tragic night when one of the leading lights of contemporary jazz was cut down by someone who was shattered and immediately contrite. But the damage had been done and the history of jazz was irrevocably altered. The structure and format of the film is straightforward and works well. Some famous musicians like Wayne Shorter, Billy Harper and others lend thoughtful and pithy comments and Thomas plays excerpts of the taped interview with Helen in addition to providing commentary and context. There is some wonderful footage of Morgan playing in Art Blakey's Jazz Messengers and then leading his own group for a local television station in New York City. This was a well done and compassionate film that tells the story in an organic manner, never getting in the way of the musicians and other friends and family, allowing them to tell their own story. The film does have a melancholy or elegiac air, but that is fitting given the subject matter. It is highly recommended and easier to find, now that it is streaming on Netflix and Amazon Prime .